How is the media controlled? Ofcom- regulator which has responsibility for the interests of consumers. Press Complaints Commission- Voluntary body appointed by the newspaper industry to maintain standards of journalism. Law- The law prevents publication about a person which might bring them into contempt, ridicule, hostility etc. Surveillance of calls, websites etc. How are media sources run/owned? 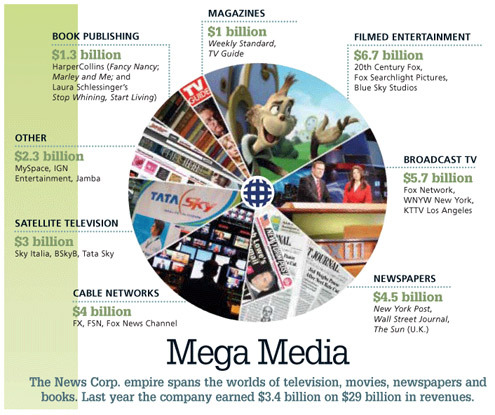 Media concentration – Fewer corporations owning several media sources. Curan (2003) states that concentration of ownership is NOT a new phenomenon. In 1937, 4 men known as the ‘press barons’ owned nearly 1 in every 2 newspapers sold in the UK. Today 7 individuals dominate the ownership and content of UK national daily and Sunday newspapers. Problems with media concentration include smaller companies losing business or going bust, a limited range of opinions presented, and potentially biased ones portrayed and a lack of choice in the media.